Zen Pure – Private Reserve! For 7 days, we are opening up our private reserve! Anything that doesn’t sell is going back into the vault. 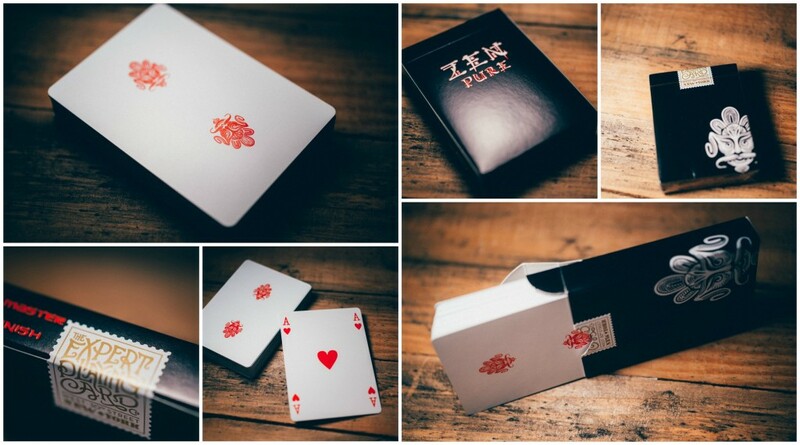 A clean white back design with two striking red foil genie heads defines this special reserve edition of the Zen Pure deck of playing cards. Only 500 decks were printed of which only 350 will be released for purchase. This is the most limited production of an Expert Playing Card Co.® deck to date! We think you will be very pleased to own and handle these magnificent cards. EPCC has added an elegant tax stamp to the box to differentiate these from other Zen Pure releases. As with the rest of the Zen cards, EPCC has utilized the premium Master Finish with these decks; they will have the same great feel you have come to love with a fresh new look. The design should prove helpful for many card effects and quite wonderful for flourishes of all kinds! Act quickly to guarantee access to our Private Reserve!